Little Mountain, SC (May 11, 2016) - Pleasurecraft Engine Group (PEG) recently completed several projects to improve their factory and increase manufacturing efficiencies. o An all-new sub-assembly area allowing for more efficient assembly down the line. o Additional state-of-the-art production lines specifically for Direct Injection engines. o An industry leading run/calibration station that provides automatic diagnostics and engine calibration downloads. o A new engine component balance machine providing more accurate calibration and an overall higher quality product. o Reorganized storage for plant parts and finished inventory providing better production flow that ensures higher quality and efficiency. Echoing the new image and culture of PEG since its acquisition by Correct Craft, numerous aesthetic enhancements were made that include freshly painted buildings, updated property fencing, landscaping, a new driveway, and a new company sign. 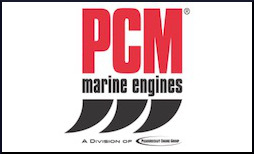 ABOUT PLEASURECRAFT ENGINE GROUP: Pleasurecraft Engine Group, owned by Correct Craft, manufactures four engine brands, PCM, Crusader, Challenger, and Levitator, from its headquarters in Little Mountain, South Carolina. For over forty years Pleasurecraft has led the industry in providing the highest quality, most innovative inboard engines, backed with exceptional service.